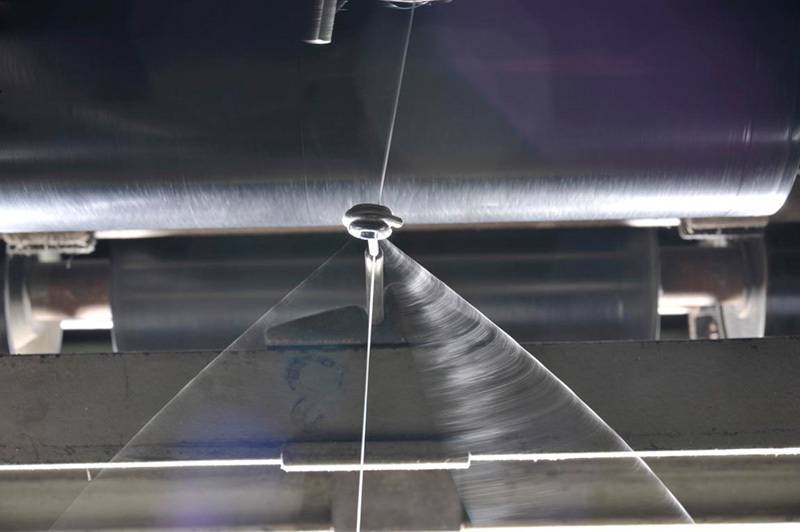 Moulinage du Solier are recognised specialists working with all types of technical yarns. 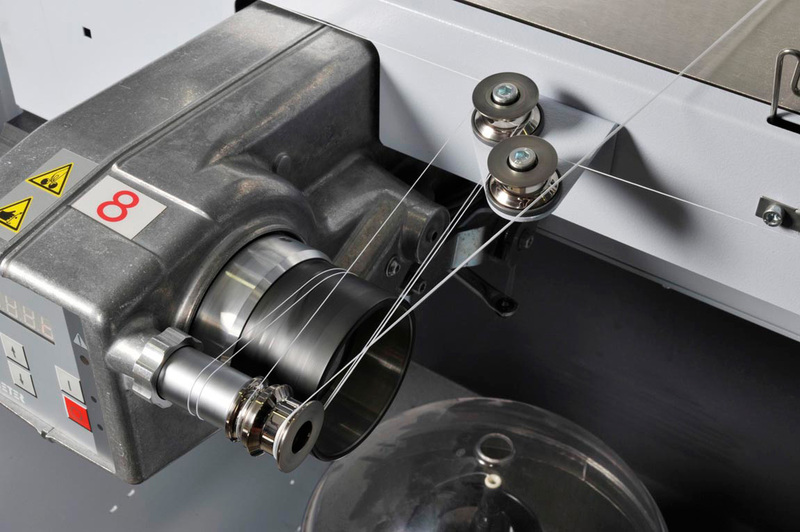 From 22 dtex to 25000 dtex, we offer ply doubling yarns, twisted and cabled yarns, covering yarns, coated yarns, thermofixed yarns, bespoke yarns, on different supports in all materials, for all your needs..
Our R&D department uses our own flexible prototype machinery to respond to your creative and technical needs, developing new products together. Nomex® colored filament yarn. Whilst a large color palette exists already, we also offer the possibility to create your own bespoke color. 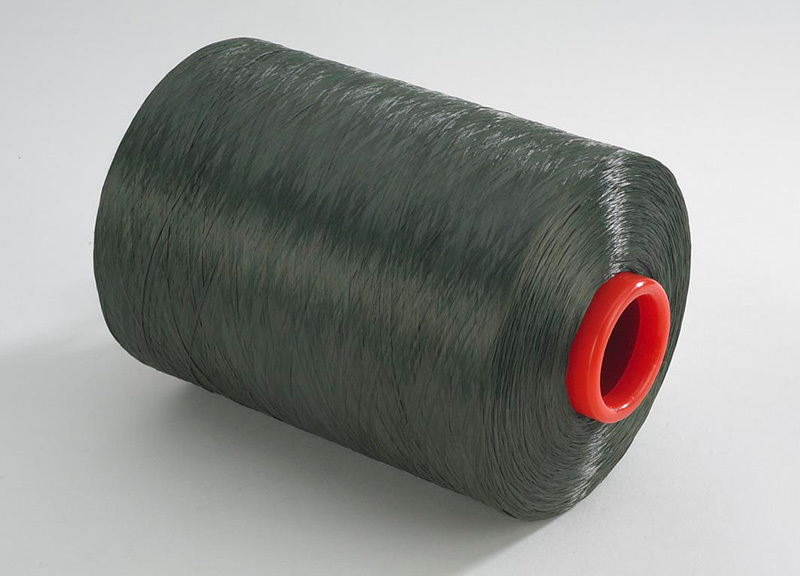 Hybrid metallic/textile yarn for antibacterial, conductive and electromagnetic shielding. We work according to your specifications and have implemented the ISO9001V2008 ; and we are implementing the NF EF 9100. We are helped by an independent organization : A.D.E.S. (see partners). The diversity offered by our machinery enables us to assembly 2 ply to 30 ply ; same or mixed yarns to obtain multi componant products.. 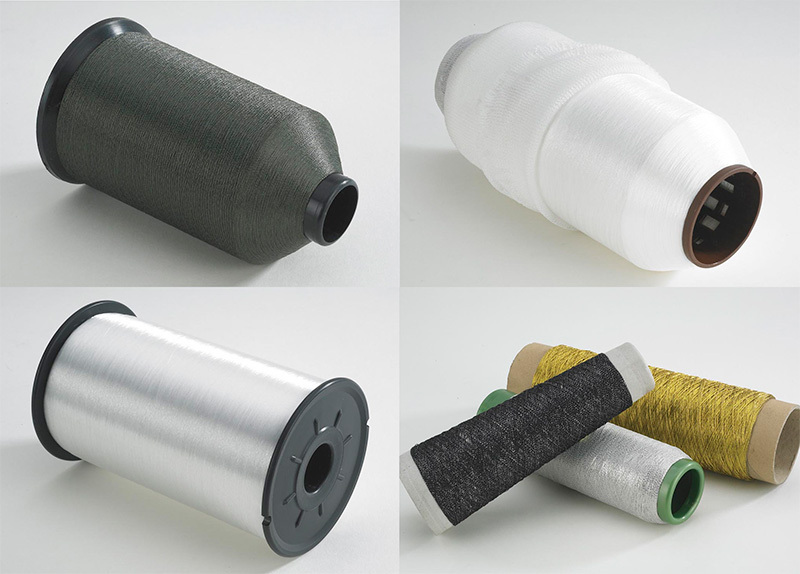 Simple or double covering, with mixed yarns on different fibres (glass, carbon, metallic, etc), with antistatic, conductive, (Resistat®, ,Bellrton®, Negastat® , etc), soluble or (thermofusible) yarn. 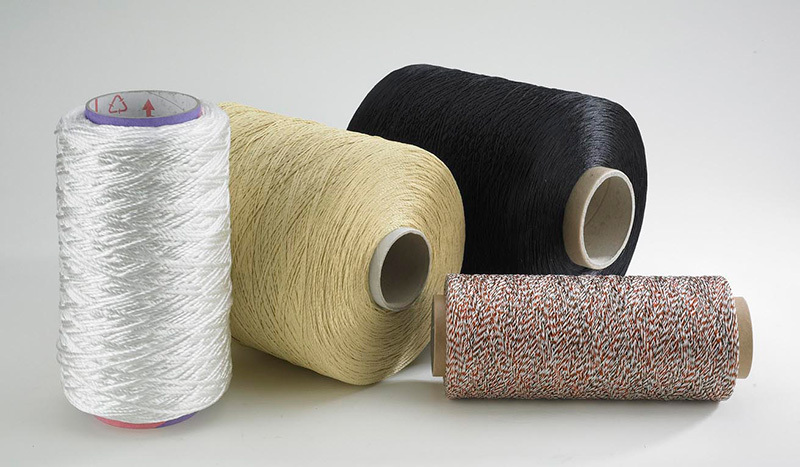 Yarns for composite, electromagnetic, fashion, and BIO material yarns. 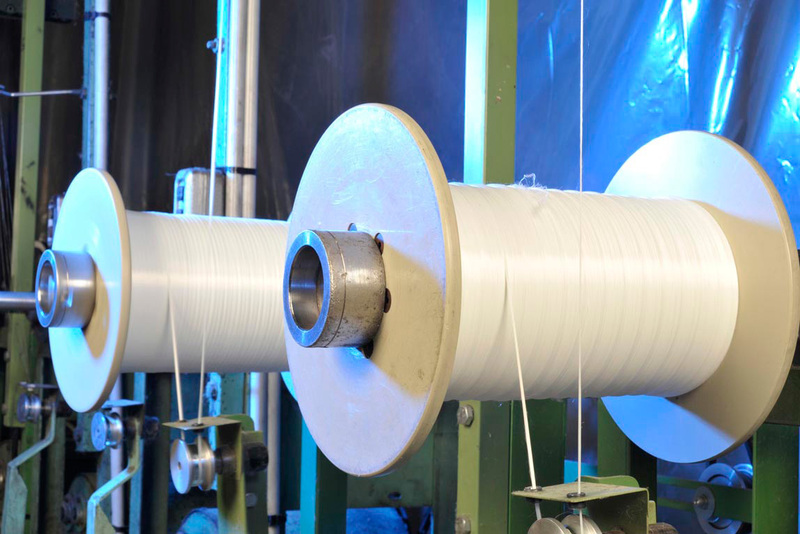 From the single yarn to the cabled yarn up to 25000 dtex, we are able to offer you 1 ply to 6 ply, with special working (different twists, different yarns, mixed yarns) and all in 6 cabled ply(from 940 minimum)..
With our own concept machines, we offer you chemical coating on yarns like water repellent, oil repellent, hydrophilic repellent, etc; and we are developing nanotechnology coating. 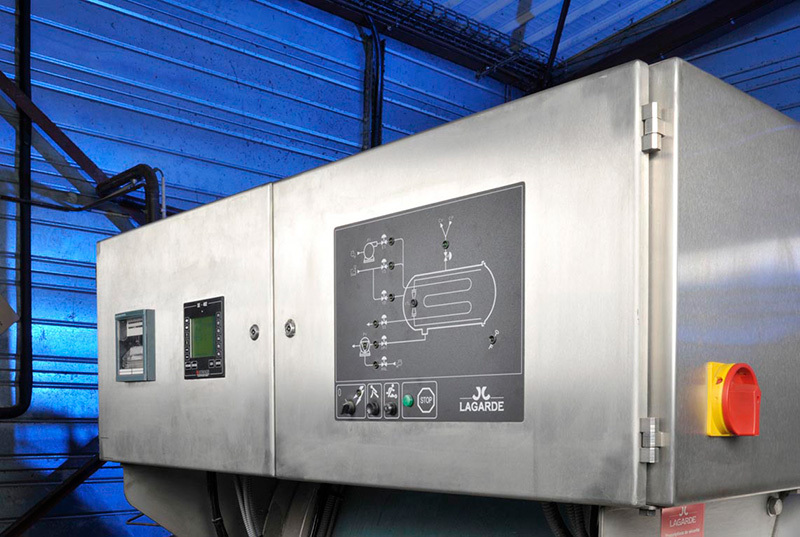 If you need thermofixing on your yarns or your product, we have the machinery to do it. Contact us to find the best solution for your needs. With 20 years experience working with all types of technical yarns, we offer a large range and different solutions to your needs. The following list is not exhaustive, don’t hesitate to contact us for news of our latest developments. We are able to offer a large choice of different(s) supports, and custom supports. Our diversity and know-how responds to a multitude of activities. IPE (Individual protection ), bullet-proof jackets, fire retardant clothes, infra-red protective clothing, etc.